I am going to enter it in both the Runway inspired challenge & the CAS-ual Fridays challenge. What a perfect little tag!! I haven't used mine but now I'm going to have to find an excuse to give a bottle of wine to someone just so I can copy your tag! Stunning! Really pops off the screen, I'm sure it will be a huge hit, if you can bear to part with it! Thanks for playing along with us this week at CAS-ual Fridays! Love your splashes of colors! what a beautiful design, Tracy!! Such a cute wine tag! Thanks for playing along with the Runway Challenge! 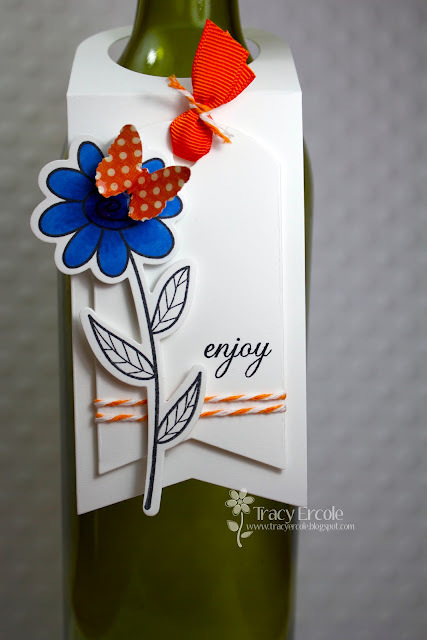 Hi Tracy...what a gorgeous wine tag! 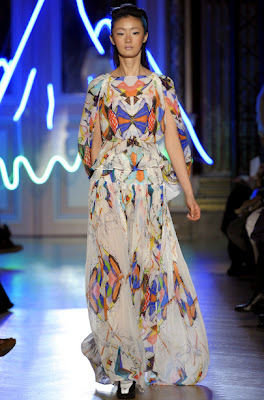 Thanks for joining us on the Runway!